In the previous section we've got an insight about how to control an LED with electronic components but lets do some gimmicks with software for automatic control of the LED. You just have to upload the code that is available in this section. The code written initially switches ON the LED, after a delay of 3sec it switches it OFF. Let's start using the LinkIt board. You can unzip the file to the Examples folder of your Arduino IDE. In this case, the possible problem should be due to wrong selection of the transfer port. You should probably modify it into "Tools> Serial port>". This occurs when your code is running in an infinite loop so in order to terminate the process disconnect the power supply from the board. In the previous section we used a capacitor to grow the brightness of the LED slowly and fade its luminosity slowly. Lets do the same thing without the capacitor but by purely changing the code. 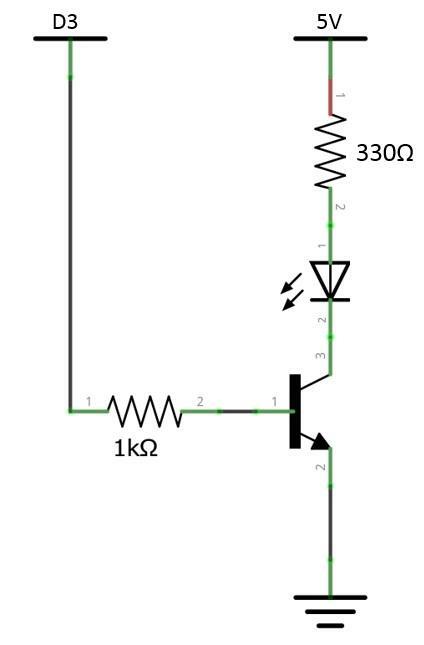 How do you change the frequency of the LED by modifying the code?